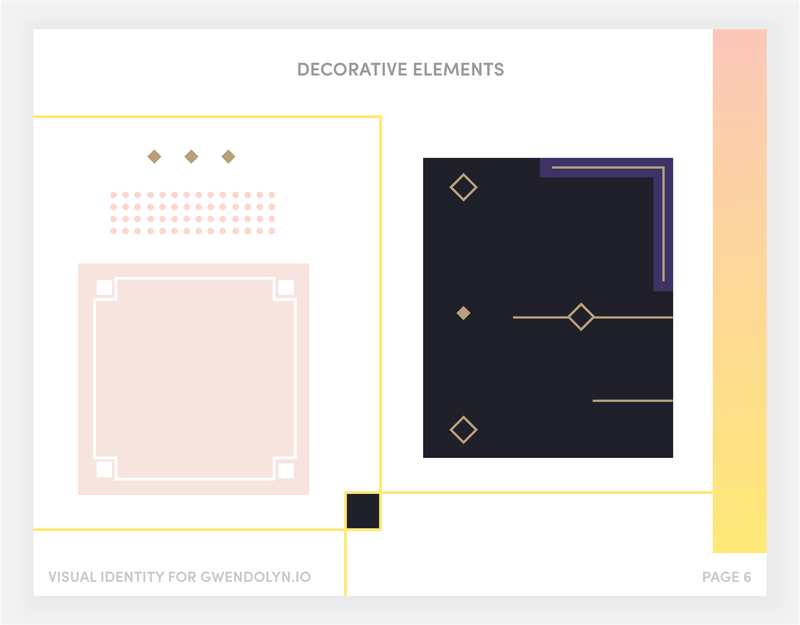 A fun, art deco style visual identity and site for a multi-talented iOS developer. The main challenge here was marrying Gwen’s bright, bubbly style with professionally presented coaching services. 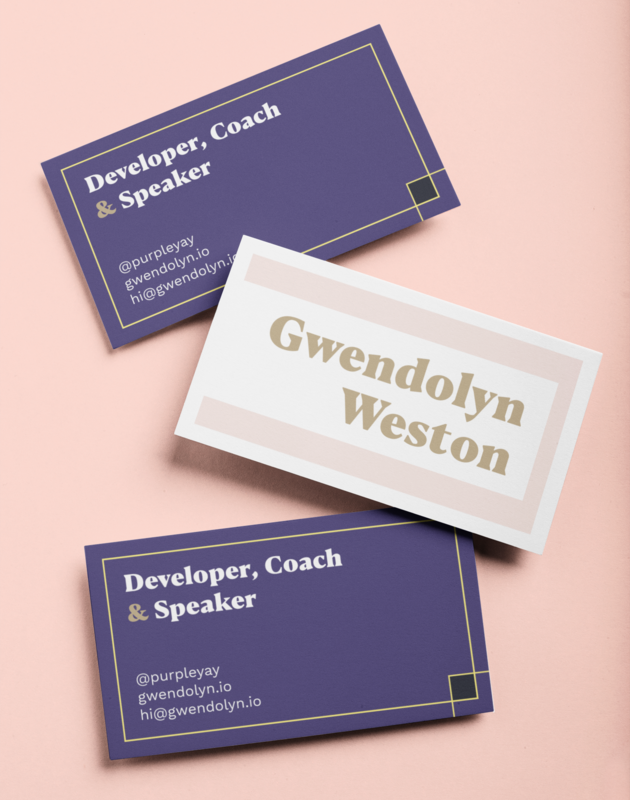 Gwendolyn Weston, an iOS developer, accountability coach, and speaker, was looking for a new visual identity for gwendolyn.io. 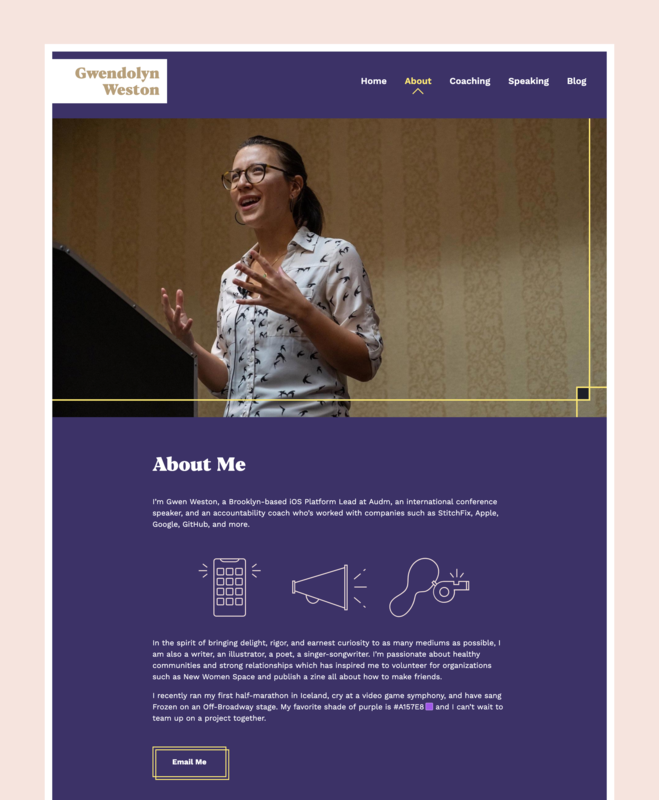 The goal was to have this be Gwen’s home on the web, representing her personal style, listing her talks, and most importantly serving as a place for potential clients to gain insight into her coaching offerings. Since the coaching page has the most content and can be a fairly abstract concept, it was especially important to break this up into manageable chunks and add supportive illustrations. This page offers a great deal of transparency without being overwhelming. The homepage also includes an announcement section where Gwen can share her latest projects, such as a link to buy a zine. 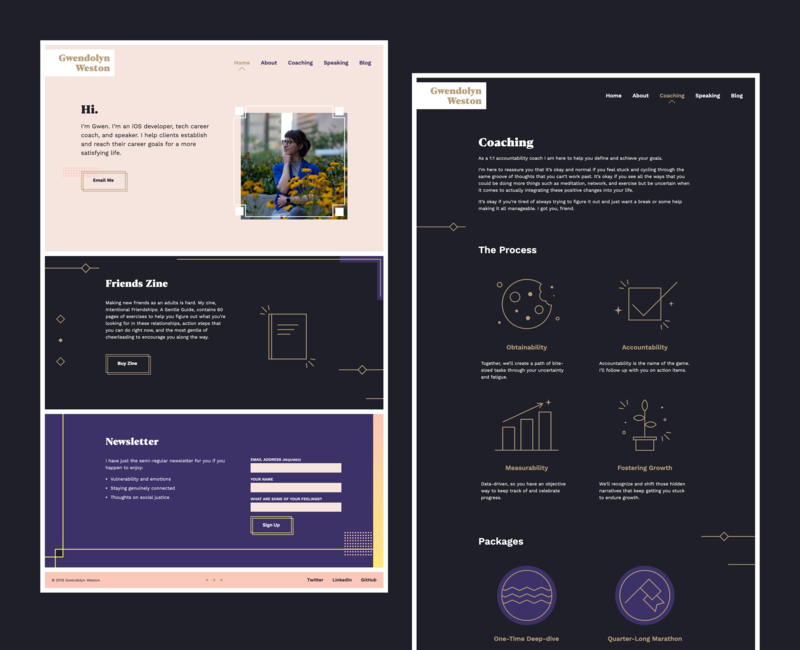 We went through several rounds of visual direction iterations and color palettes, ending up in a much more mature, minimalist, and bolder place than we started. There is a lot of color on the site but it’s not intrusive in regards to copy. Gwen now has a new and shiny brand with documentation and a site that encompasses her personality and professional offerings.